Hi, there, I’m Gin Ferrara, the Community Engagement Manager at Regional Educational Television Network (RETN) and Partner at the Vermont Story Lab. Part of my regular work is spreading the word about our programs and services to our community. This includes sharing videos, photos, events, and blog posts across social media platforms. 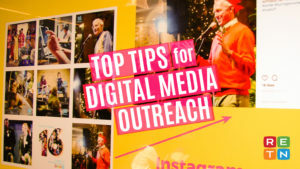 I’ve put some of my own lessons learned into a 3-hour lab for Vermont Story Lab, “Top Tips for Digital Media Outreach,” — this post shares a few key ideas about the big picture. This blog is the first of 2 — I will share some specifics for digital media makers in the next post. This seems obvious, but know WHY your are reaching out before you tweet! What do you want your audience to do? Focus on messages that either TEACH a new idea, or lead your people to ACT (donate, register for an event, volunteer, etc). This is the origin of your campaign outreach. At RETN we have daily, round-the-clock programming. It’s important to be visible online, even when we don’t have a big campaign. I call this the “Yes, we are still here” outreach :). These frequent posts, while more diverse in content than a campaign, all have the same underlying message: we make media accessible for our community to promote education and civic engagement. 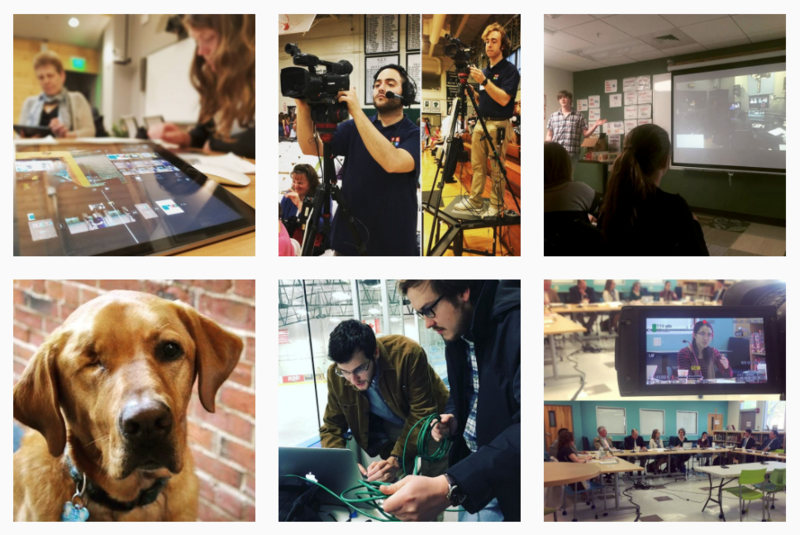 Our ongoing Instagram feed highlights the work we do on a daily basis: including workshops, productions, and the people (and dogs) that make up our community of media makers. 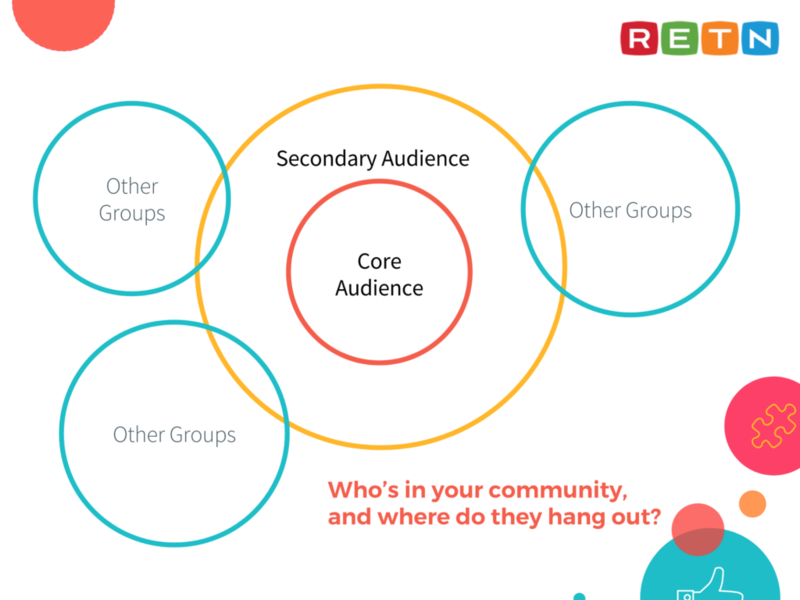 You probably have a pretty clear idea of your audience, and may have a core audience who are the recipients of your work, and a secondary audience who benefit from your work indirectly. Do you know where they are online? If not, it’s time for some sleuthing. Consider having new members/donors/followers tell you what social media they use. Secondly, think creatively about the other groups you belong to, that may have some overlap with your audience, the such as school, faith, sports, and social groups that have an online presence and may be willing to share your message. Groups online spread the word faster, and to a more precise group than blanket outreach ever will. Elements of our 16 Stories campaign our year-end campaign to showcase local talent and increase viewership of our story-themed content. 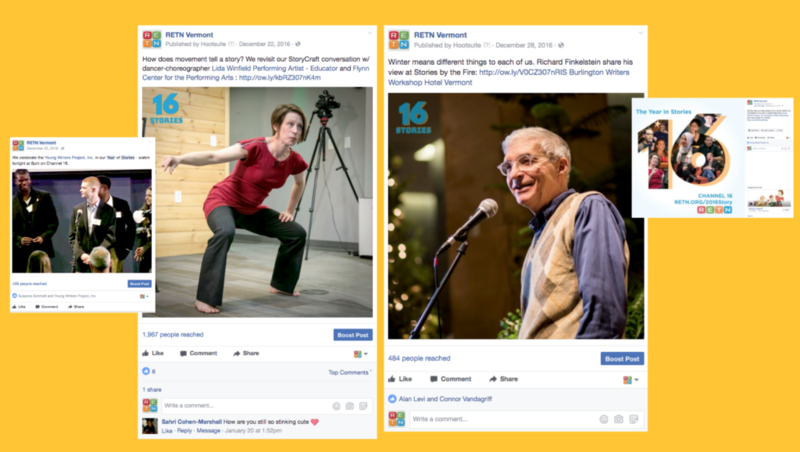 from our “16 Stories” campaign – our top posts included tags to people and organizations featured in the posts, and were shared by individuals and groups to their own friends. By December 2017, our organization will see a 10% increase in new monthly sustaining members who registered through our online membership page. Whatever your goal, make sure you know how you will track it! You can use the analytics that are part of Facebook, Twitter, and Instagram, to track engagement in social media, but these free tools have limited information, and/or provide you with data for a certain amount of time. This is just the tip of the iceberg! Learn more about telling your story with impact at the Vermont Story Lab statewide summit!